Many rehab centers have intimate, home-like interiors and offer a variety of groups and counseling options. However, getting outdoors is just as important as feeling comfortable in your living space. An outdoor therapy program gives you a chance to navigate challenges and learn life skills while safely exploring boundaries and pushing your limits. According to Psychology Today, immersing yourself in nature can heal your body and mind. When you use substances, you disconnect from your environment. Your ability to feel even basic physical sensations may become numb. Outdoor therapy awakens your senses. When you’re traversing obstacles outside, you must be mindful to avoid accidents. Having adventures gives you a new kind of rush. You may find that you get a high that you could never obtain from drugs. Being in nature is peaceful. It’s also empowering. It lets you work on your physical and mental challenges as you improve yourself and gain confidence. Nature can be chaotic, but it sustains itself. Exposing yourself to its energy, especially in the modern age of technology, can bring you back to yourself. 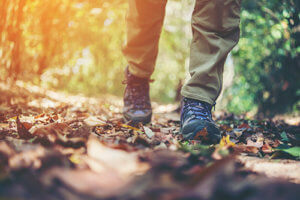 Forest bathing is a term that was coined by eastern healers to describe the act of connecting with nature using your senses. Walking among the trees can lower your blood pressure and stress levels. Some researchers have found that being in the forest can reduce hostility and depression. Whether you’re hiking, strolling, kayaking or simply basking in the sunlight, you begin to recognize your place in this world. You become aware of the way in which you connect to the environment. When you participate in an outdoor therapy program, you start to notice how you influence your environment and how the atmosphere affects you. This helps you realize that you can’t control everything. Accepting the world as it is and being mindful of the present moment can relieve your anxieties. Drug abuse can take a toll on your physical health. Outdoor therapy allows you to increase your level of physical activity. The endorphins that are released when you exercise improve your mood and counteract stress. As you strengthen your heart and enhance your circulation, you give your body a chance to heal from past physical stress. To truly heal from substance abuse, you must look at all of the parts of yourself as a whole. One-sided treatments can be beneficial, but holistic therapy can give you additional tools for finding your purpose and preventing relapse. An outdoor therapy program allows you to see your strength and weaknesses. In many ways, adventure therapy is a metaphor for your entire life. You learn how to safely approach new environments, explore boundaries and manage the hurdles that life throws your way. You improve your problem-solving and decision-making skills and work on handling problems individually or as a team. This allows you to move toward achieving goals in a healthy manner. If you slip up, all is not lost; you keep moving forward. As you do so, you realize that you held the strength within you all along. Gorgeous, tranquil grounds surround our facility. You can relax around the fire pit or meditate by the pond to enjoy everything that nature has to offer. If you’re interested in our outdoor therapy program and ready to allow yourself to heal on every level, call us at 855-752-3377.